Santouka Casual Ramen Dining is opening on May 27, 2015 in Tagaytay City. 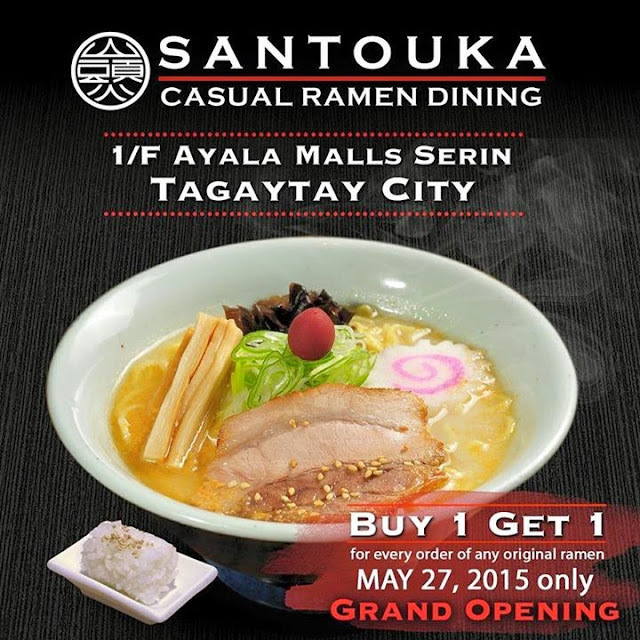 Come visit us in Ayala Malls SERIN on the opening day and enjoy BUY 1 GET 1 on all original ramen. See you there! Perfect weather, perfect ramen. Finally, ramen worth eating in Tagaytay.